I recently heard London being referred to as ‘Never Never Land’, and it’s actually not a bad description. Whether you have only just moved to the culture capital or have been here for years, you will most likely agree that London has on offer just about any experience or event you can imagine! In recent years, museums and tourist attractions have widened their offering to include late night events, aimed at the cooler London crowd who have avoided the ‘general admission’ as best they can. 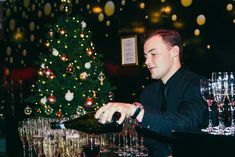 Londoners like to attend these exclusive events, share in a new experience, grab some fresh snapchat content and have a sneaky drink in places that usually only sell overpriced sparkling water! To help you find a new experience in Never Never Land that is worth staying up for, we’ve compiled a list of ten of the best LATES experiences London has to offer. Enjoy! 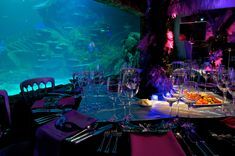 SEA LIFE After Dark – VIP late night openings of the famous attraction, glass of prosecco on arrival, fully stocked bars, mesmerising tanks of sea life including sharks, giant turtles and crocodiles! ZSL London Zoo Safari in the City – VIP after hours safari cocktails and canapes by twilight, talks by conservation experts along with animals such as Gorilla’s, Elephants and Hippos. Natural History Museum Lates – The Natural History Museum comes to life after dark. Explore our galleries, exhibitions and shops after hours, and enjoy expert-led talks. Madame Tussauds Fashionably LATE – Exclusive access to one of London’s top attractions, cocktail on arrival, chance to discover which wax figures wear the world’s top designers, which stars which have donated the ‘look’ for their likeness and how some of the most iconic film costumes have been recreated. London Dungeon LATES – A fortifying dose of after hours scary fun featuring scares, laughs, shocks and drinks. The London Dungeon LATES mashes up theatre, special effects and intriguing storytelling with wit, humour, and plenty of edge of seat surprises. Kidzania Adult Nights – The children-only city opens for adults after hours, where you can try out potential new careers in their roleplaying games. Including a welcome drink and fully stocked bars. Late at Tate – Check out an amazing mix of artworks, have a drink and a bite to eat at these free entry events. V&A – With Free entry, Victoria and Albert Museum open selected galleries until 10pm every Friday with arty activities, food and drink available. With all of these fantastic out of hours events do you agree it’s better LATE than never to visit London’s tourist hotspots?